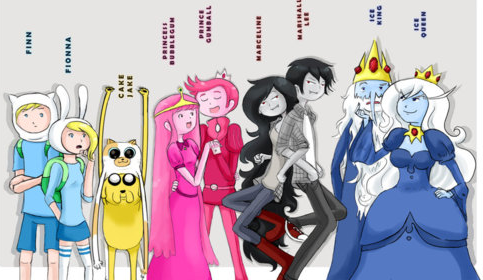 Finn,Fionna,Jake,Cake,Princess Bubblegum,Prince Gumball,Marceline,Marshall Lee,Ice King,Ice क्वीन. Finn,Fionna,Jake,Cake,Princess Bubblegum,Prince Gumball,Marceline,Marshall Lee,Ice King,Ice क्वीन. Wallpaper and background images in the अड्वेंचर टाइम वित फिन आंड जेक club tagged: adventure time.